Taking a holiday in Sicily is almost like time travel. 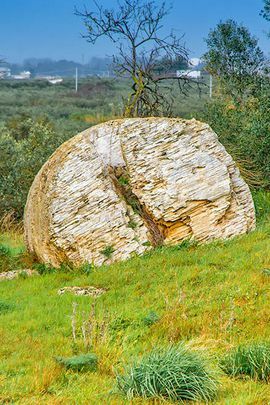 You can see the exceptionally well-preserved remains of the ancient civilizations of Carthage, Greece and Rome - the three leading powers of the ancient world - all in once place. 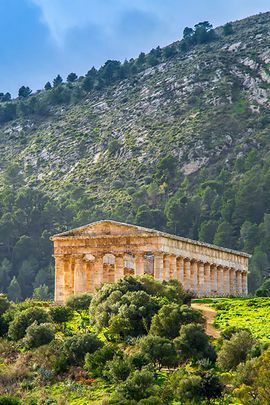 For lovers of ancient architecture, the temple of Segesta is a true delight. We mostly have the chance to see the "ruins" of Greek temples, yet this one is perfectly preserved in its entirety. It was never finished or used in ancient times, and it offers the unique chance to see how the ancient builders actually constructed their temples. 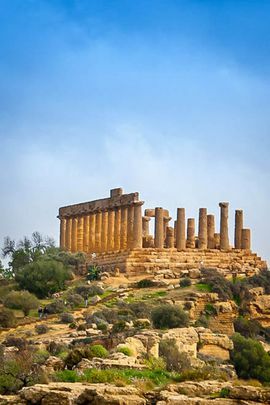 In the Valley of the Temples at Agrigento, one of Sicily's UNESCO world heritage sites, holiday makers can see some of the best preserved Greek temples in the world. Our Trip Tip photographer was particularly impressed by this temple of Hera. In the remains of the ancient city of Selinunte, it can be intriguing to see the individual components of Greek temples. They can look very strange when they are no longer assembled as planned. Our photographer thought this one looked something like a flying saucer! 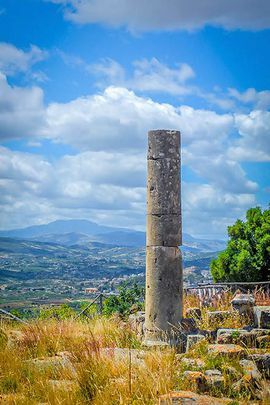 The ancient city of Solunto was originally founded by the Phoenicians on a mountain near the present-day city of Santa Flavia. From the Roman remains that survive today, tourists can enjoy stunning views of the mountains and sea. In an ancient quarry called Cave di Cusa you can see vast pieces of pagan temples, which were carved out and never built. 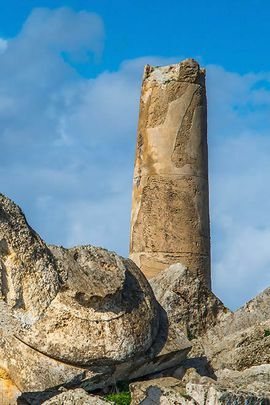 This extraordinary demonstration of the techniques of ancient architecture is one of our insider tips for a fascinating holiday in Sicily. So, Sicilian towns are just as diverse as the Sicilian countryside. They range from small villages nestling in the mountains to sprawling modern metropolises. This photo gallery by our Trip Tip photographers gives an impression of what there is to be seen.